Back for their 11th year - and in British Pie Week no less - the British Pie Awards returns as a highlight of the year in pie. 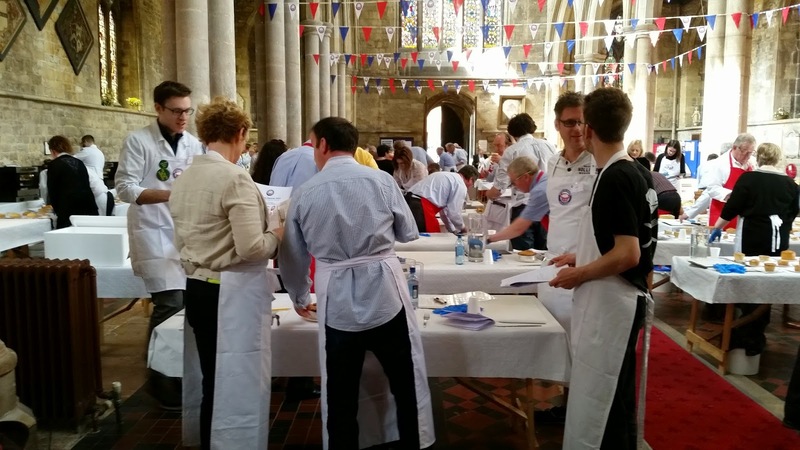 Held in the heart of Pork Pie country, pie makers, pie enthusiasts and - most importantly - the pies themselves head to Melton Mowbray every year for the judging of up to 1,000 pies in just one day and to crown their supreme champion. 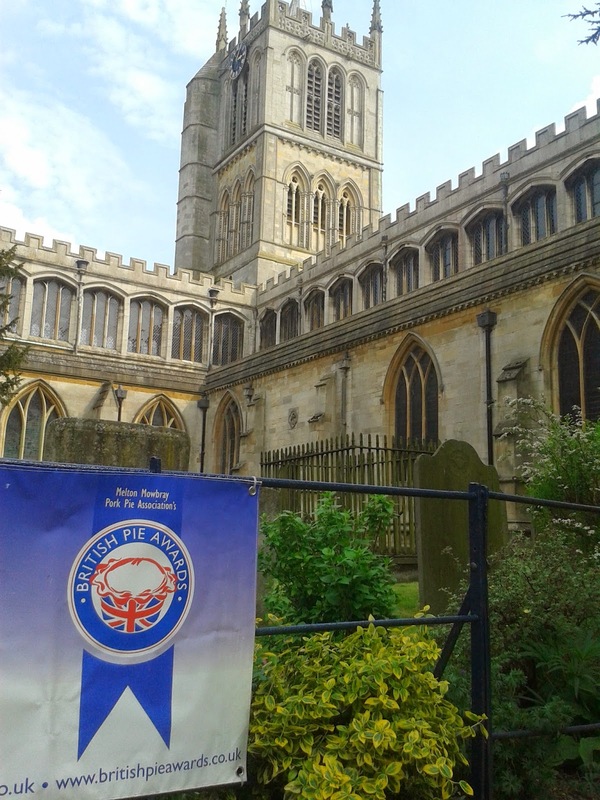 Having returned last year to the beautiful St Mary’s Church, located in the heart of Melton Mowbray, the judging will take place on Wednesday 6th March and the Award's Lunch will be on Friday 8th March. St Mary's Church in 2019! This year will see Pierateer Rob return to provide media coverage of the Awards, where last year 962 pies were sent in from across Britain and beyond. With over 625 pies rated on our pie blog we've had no shortage of pie judging both at and outside the Awards, so this year we will let others have the pie-leasure and instead focus on insightful media analysis of the day with yet another "British Pie Awards - Live!" blog. So following our "British Pie Awards 2018 - Live!" article, on Wednesday 6th March we'll again be providing a pie-filled day of photos, interviews and behind the scenes info! With previous years judges including Food and Drink TV producer Andy Clarke, Channel 4's Felicity Spector and pie judging regular Xanthe Clay from the Daily Telegraph, in addition to pie author Martin Tarbuck - who you may recall wrote pie review book "Life of Pies" - and fellow football pie pundit Jonny Smith, we look forward to finding out who will be judging this year. And we will also be recognising newly crowned Queen of Pies AND our latest Honorary Pierateer Katie Peal at the Awards! And while the British Pie Awards use a significantly different set of criteria to us, rather than the 7 Cs of pie rating that we have used to rate over 625 pies on Pierate, there are very few pie experts they could call on with more ex-pie-rience than us when it comes to judging the pie-fect pie! Last year was another exciting year for Pierate at the British Pie Awards, with over 5,000 of you viewing our live blogging from the pie event of the year, our post-event review and preview articles. 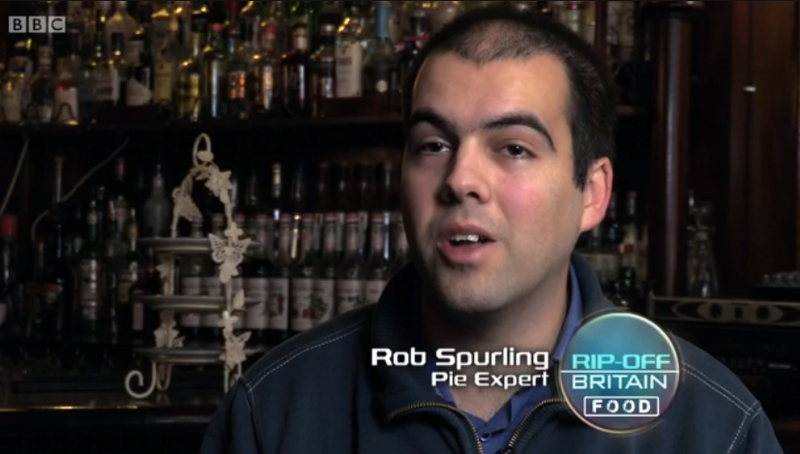 This year providing the media analysis once again will be Pierateer Rob, who you may recognise from TV shows "The Great British Bake Off: An Extra Slice" and "Rip Off Britain: Food". So what have we got to look forward to at the British Pie Awards 2019? Of course if you are a pie producer, you also need to remember you only have until 5pm on Friday 15th February to make your application! This year the organisers have made it even easier to enter your pies with an online form available, so don't miss out on this fantastic way to promote your pies! The amazing Speciality Class "Bridal Pies"
We're looking forward to once again seeing what pie producers come up with in the Speciality Class, following an amazing selection of entries in the 2015 Speciality Class of Bridal Pies, some royally good pies in the "Pies Fit for the Queen" Speciality Class in 2016 and some fantastic pies available in the public services in 2018. For the 2019 Awards, the Speciality Class will celebrate pies sold in the Great British Chip Shops up and down the country! This year there are expected to be more pies than ever following the announcement of another new category - the Vegan pie class. 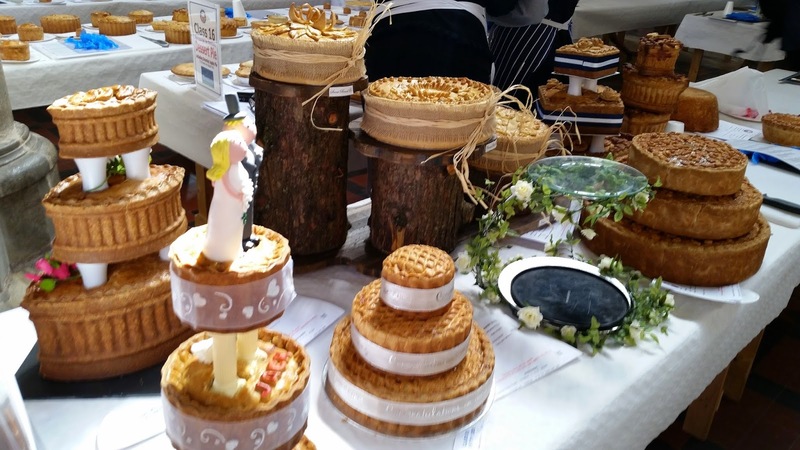 Unsurprising following the rise of Vegan food in the past few years, including a number of vegan pies and even exclusively vegan pie shops, this is a welcome addition to the classes at the Awards in 2019. Plus there will also be a new award for the Best Young Piemaker! All that remains to be said is you won't be surprised to hear we will once again be covering the event and providing regular tweet updates from Melton Mowbray as we once again get involved in the greatest pie show on Earth, so check back on Wednesday 6th March for more pies than you can possibly imagine!